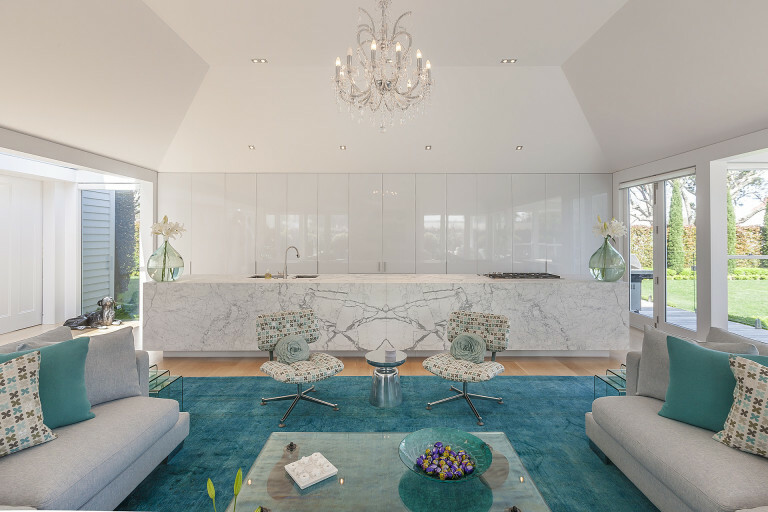 This beautiful kitchen is a Guy Tarrant creation, custom made by Form Design. The massive floor-to-ceiling cabinets encompassing glass shelving and fridge, is made completely out of maple. 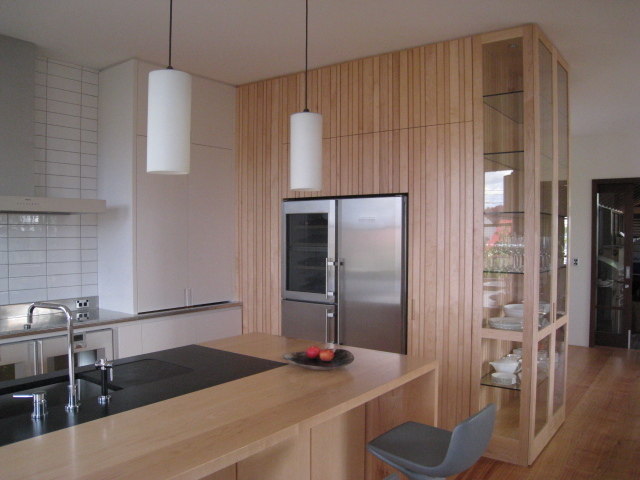 The solid maple battens are laminated to the maple veneer – there isn’t a screw or fixing to be seen. 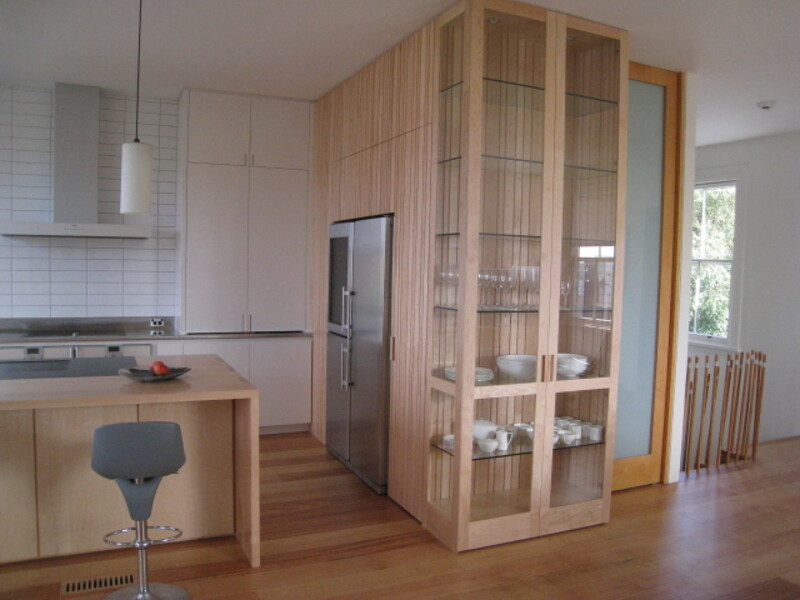 This was a big consideration when it came to incorporating the heavy glass shelving and glass panels in the front. 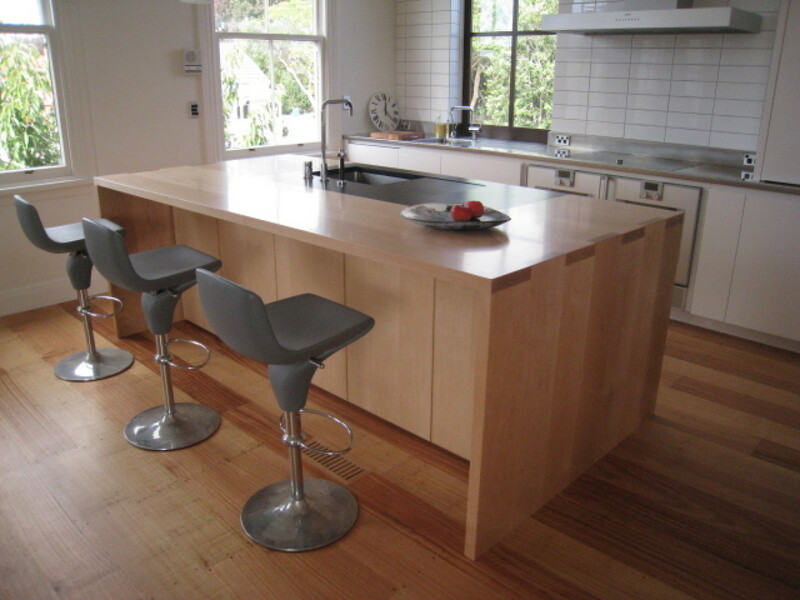 The island couples maple with a black granite inset tapered to direct water into the sink. 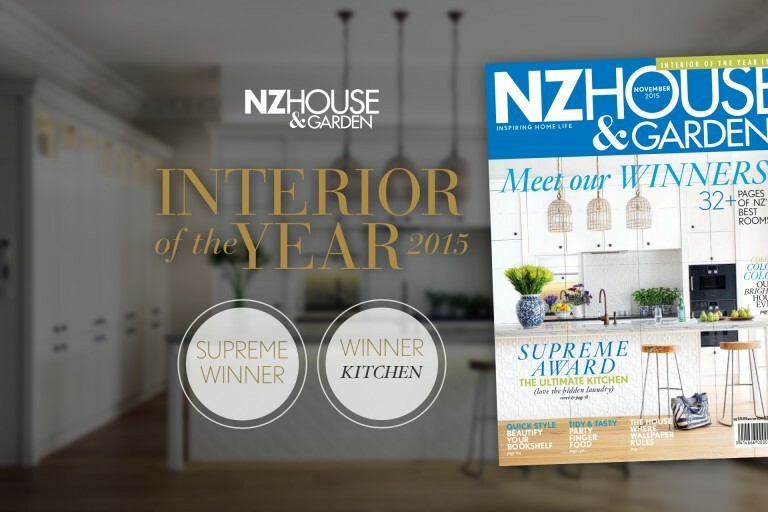 Behind a classic stainless steel benchtop sits atop white cupboards with a bifolding door on the pantry unit. The challenge with this project was the installation. 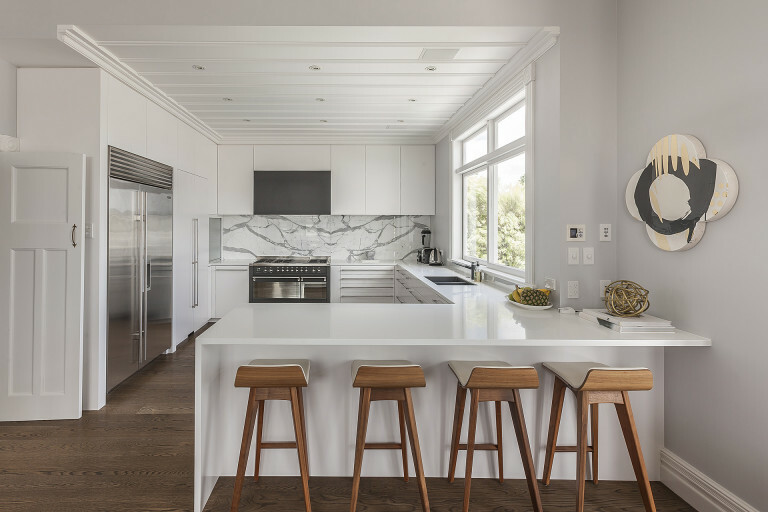 As the kitchen was on the top floor of this residence, the entire island and cabinet unit had to be craned in from a neighbouring property over the client’s deck.